Hi. My name is Dave Fessler. I recently celebrated my 10th year as the Energy & Infrastructure Strategist at The Oxford Club. Today I’m going to show you the “Million-Dollar Formula” I used to identify four separate $1 million-plus potential investment wins during my career. It all started when I grew my account from $41K to $3.27 million in the span of exactly 366 days. But what I did wasn’t incredible or unbelievable. Rather, it was a matter of simply following a strategy that helps me identify plays that are only headed up. 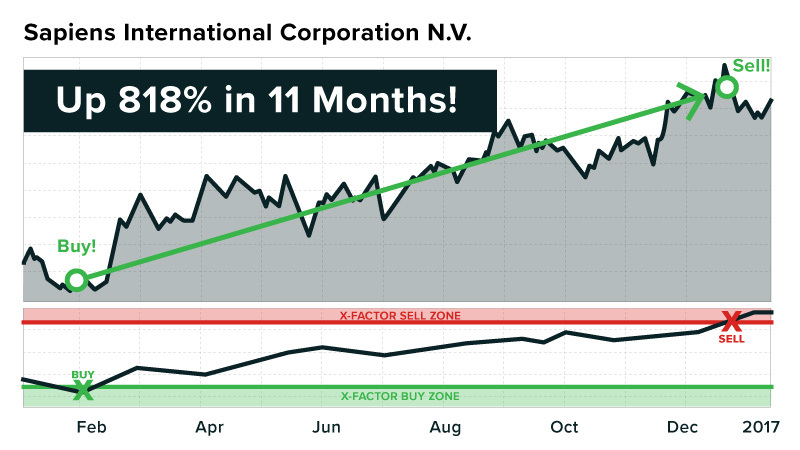 The research behind my Million-Dollar Formula told me to go all-in on a stock called LTX Corporation... because I was convinced it going to skyrocket. Launching from $1 to around $54 very quickly. It was a life-changing experience. Just imagine how thrilled I was to watch my account soar past $1 million... $2 million... $3 million... all the way up to $3,268,231. But it wasn’t my only BIG WIN. And $67K into a potential $2 million on a similar U.S. investment. There was also the time I bought Intuitive Surgical at $24.55 a share. 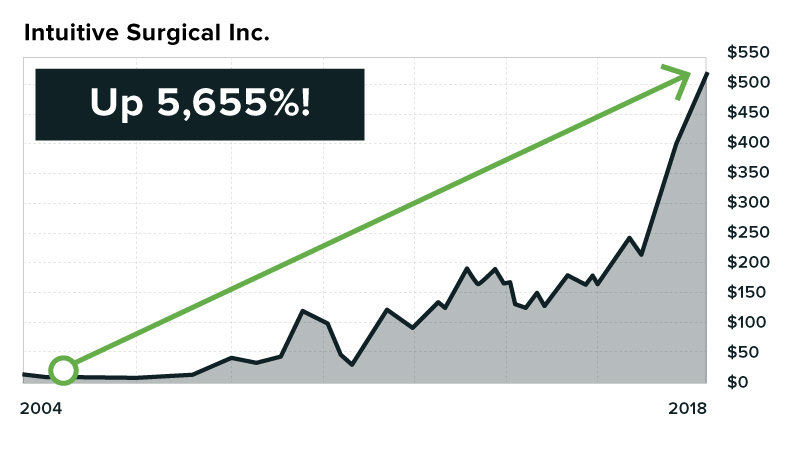 I cashed out earlier for a mammoth win, but today the stock is up to more than $500 per share! Helped me retire at 47... and allowed me to provide my family with a wonderful life, 100% free of financial worries. After all, I’ve outperformed most of Wall Street’s most famous investors, despite living in tiny Nazareth, Pennsylvania... population 5,746. And Mario Gabelli of GAMCO, which oversees $40 billion. But I blew away nearly all of the competition. But you know, it’s funny. People think I’m some kind of stock-whisperer. I’ve developed a proven scientific formula that leads me to unbelievable wins. So you can see exactly HOW and WHY I was able to make so much money... and learn how you can too. In short, the four investments I’ve described so far played a big role in shaping my Million-Dollar Formula today. And I’ve got some exciting news. And at least $153,000 within the first year alone. Let me be clear, my Million-Dollar formula does NOT target risky penny stocks or cryptocurrencies... and it has nothing to do with shorting stocks or anything like that. Rather, this is the safest way I know to grow money fast! But I’m sharing the full details of my Million-Dollar Formula and the five new trades with only 250 people today. There’s no purchase necessary to enter the sweepstakes. It’s simply a thank-you to everyone listening to my story today. So how can you benefit from the Million-Dollar Formula? The Million-Dollar Formula Could’ve Pinpointed Wins of 1,632%... 1,579%... 1,600%... and more! And you don’t need to be a Nobel Prize-winning economist. I’m just a regular guy who loves working on cars with my sons, restoring my old stone farmhouse and spending quality time with my wife of 29 years. That it’s simply primed to blast forward for million-dollar profits. And with my Million-Dollar Formula, I can show you how to achieve monumental wins in the stock market. Our research team performed a historical backtest of my scientific system, and the results were stunning. For example... data shows my formula could have identified a unique “Buy” opportunity in ATI Ladish on precisely June 30, 2010. Turning every $1,000 into $17,320. 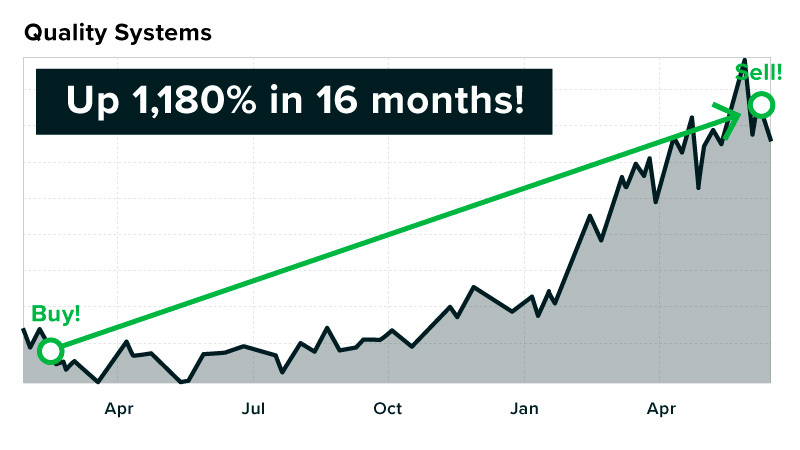 You could have sold seven months later for 1,579% gains. With a stake worth $1.7 million. In less than one year! Now, this is a simplified example. The entry dates on these opportunities didn’t line up perfectly. But I wanted to show you the power of stringing together a couple of big winners. The thing is... you don’t even need $1,000 to start. In fact, all you need to achieve GREAT success is about $100... a laptop... and a brokerage account. If you find the right investment, small sums can be all you need. You’d be sitting on a $98,371 pile of cash today! I heard of a 35-year-old man who made a $650,000 profit on Monster Beverage in just five years! Or look at Balchem... a totally unknown stock to most investors. $100 in Balchem would be worth $107,199. 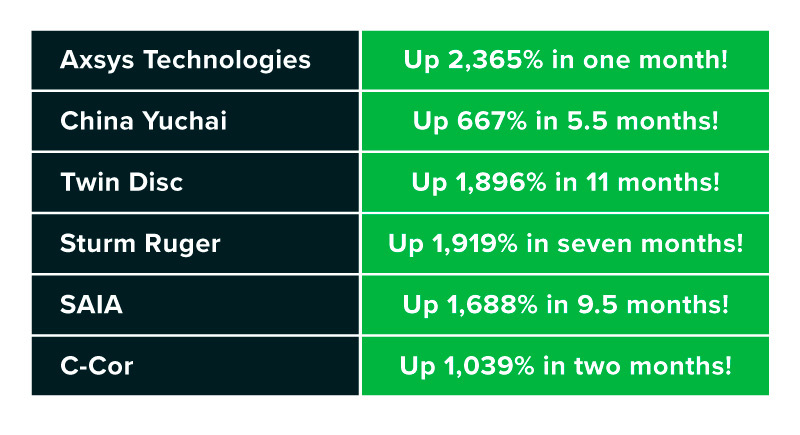 In fact, there are 43 other exceptional stocks that could have shown you 10,000% gains or more in recent years. I can help you identify MONSTER trades like these. In fact, many people who bought a stock when I said “Buy!” went on to make thousands and even tens of thousands on single plays... one fellow even says I helped him break the $2 million mark in his portfolio. I simply have no doubt that with powerful run-ups like the ones above, you’ll be able to blow past the $153,000 mark in the year ahead. And you don’t need a lot of free time. It ensures they are ONLY GOING UP. Using my Million-Dollar Formula will entirely change the way you look at investing. It’ll simplify everything. And make it much easier to spot the winners. It’s no fluke that I was able to identify and achieve the insanely profitable investments I showed you. Every one came from identifying EXTREMELY underpriced investments. They can only go up from there. And simply MUST rocket higher. This new system is the culmination of my decades of experience identifying these types of opportunities. Let’s go back for a moment and take a look at Tesla. Maybe you hate the company, maybe you like it. Nevertheless, there’s no denying it was dramatically underpriced in April 2013, when shares were selling for $37. Investors who want a pure play in the electric vehicle (EV) space might do well to consider investing in a few shares of Tesla Motors. Given the enthusiasm for the company’s cars and its rapid growth rate, you might be able to afford one yourself in a few years just by selling the shares you purchase now. 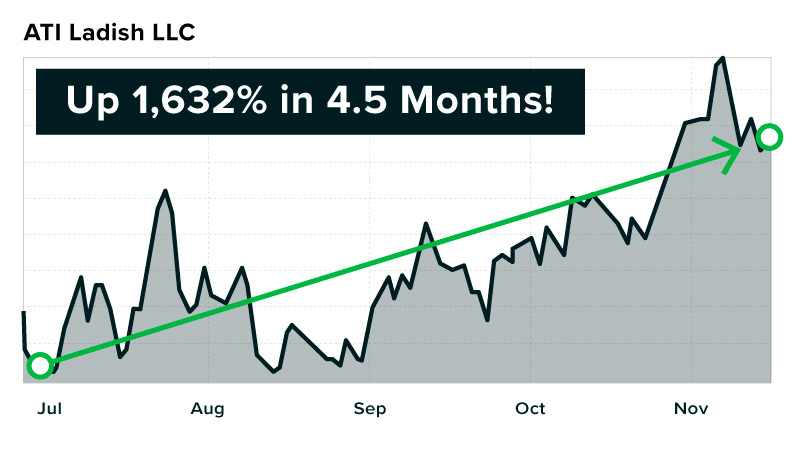 April 2013 was the precise moment Tesla’s stock went from three straight years of flatlining to explosive growth. You could have turned every $1,000 into $10,430. And every $10,000 into $104,300. Iraq War veteran John J. made $100,000. “I’ve made twice my yearly salary in six months,” he said. 22-year-old college senior Pete H. said he made “about $250,000” on my pick. And 69-year-old retired microbiologist Ralph S. made $250,000 too. “My brother-in-law is still convinced they’re going to fold,” he said. One gentleman, Jack S., said he bought when the prices were still in the $30 range... his $34,100 initial investment would’ve topped out at $390,499! And remember how I wrote, “You might be able to afford one yourself in a few years just by selling the shares you purchase now”? Well, I put my money where my mouth was. I got myself the Model X P90D, the fastest SUV ever made... as a celebration of one of my best recommendations ever! It does zero to 60 miles per hour in a blazing 3.2 seconds and is the most amazing vehicle I’ve ever driven (yes, including my Ferrari!). 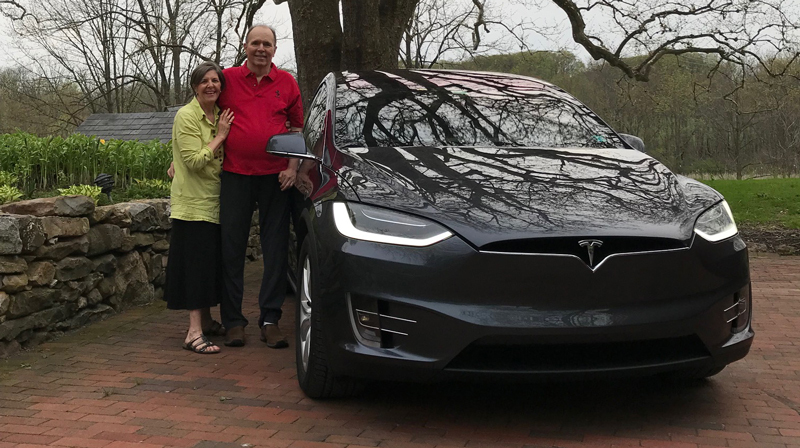 Kenny W., 40, bought himself a Model S after buying Tesla stock in the mid-$30 range. And 40-year-old Bob G. figured at first that if he invested $50,000 in the stock and doubled it, he’d be able to buy the car. But he then made more money than he could ever imagine. He had to break it to his wife slowly so she wouldn’t become suspicious! “I said, ‘I don’t want to alarm you, but we have hundreds of thousands of dollars more than we had,’” he told us. Had you listened to me then, there’s no question you could be driving the car of your dreams too. All the research behind my Million-Dollar Formula told me that Tesla was wildly undervalued, and it paid off big for all who listened. We’ll be doing some more celebrating today too... in fact, I’m giving away an all-expenses-paid, first-class vacation for two a little later on to commemorate the first-ever reveal of my winning strategy. I’m going to show you my secret so you can achieve the life you want on just a few smartly timed trades. For example, look at how my Million-Dollar Formula targeted FuelCell Energy. The data proves my system could’ve identified a “Buy” on January 30, 2004. You could have walked away with a 431% gain after it said “Sell” on April 16. That would’ve turned $2,000 on this special play into $10,620 in just 2 1/2 months. Then you would’ve been alerted to a new trade just 14 days later. My system would’ve identified a “Buy” opportunity on American Science & Engineering on April 30. You could’ve walked away with a 11,510% win by November 10. That would have turned your stake into $1,161,000. And that was on just two incredible trades within a 10 1/2-month timeframe! Whenever I have a big win, I like to take a good chunk of profits off the table. But with these two trades, I’m showing you the true POWER of my Million-Dollar Formula. Pardon my French, but that’s a load of bull. I’ve done it personally with my own trades. And I know it will work just as well for you. Even if you’re starting small, I believe every person can make at least $153,000 in the year ahead... putting you on track to grow your portfolio to more than $1 million very soon. But you must do me one favor. TUNE OUT THE MAINSTREAM FINANCIAL MEDIA! I admit, I like to play some of the TV money shows in the background during the day just in case there’s a big interview that I’d like to see. But you must realize... it’s simply entertainment. And it’s often TERRIBLE financial advice. Daily Finance, of course, was wrong. The media is constantly wrong. That’s why I say you must ignore the MSM foolishness! And they can get you off and running to at least $153,000 in the year ahead. But I’m only going to share these five Million-Dollar Formula trades with 250 people today. That’s the highest number of subscribers I believe can profit without word spreading about the stocks we’re targeting. I’ll show you how to get on my small email list in a moment. But first, let me show you the EXTREME POWER of my Million-Dollar Formula. In a nutshell, my scientifically proven Million-Dollar Formula alerts me to the exact moment when assets are mispriced. When stocks are priced too low, that’s the exact moment you want to buy. The stock is spring-loaded with the highest profit potential at that moment. And my system helps me identify the perfect time to get in for the best chance at the biggest profits. Frankly, I won’t be surprised if you make a lot more than that. You’ve got the potential to make far more on just a couple of plays. And my Million-Dollar Formula is proven in all kinds of markets. It works as well today as my data shows it could’ve worked five, 10 or 20 years ago. I can find examples of it working perfectly in any time period. 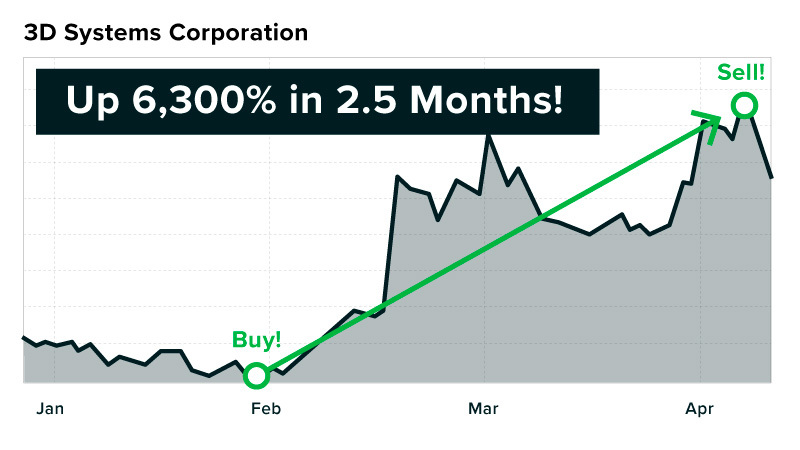 You could’ve sold 2 1/2 months later for a HUGE 6,300% gain! That could have turned every $1,000 into $64,000. My Million-Dollar Formula could have pinpointed a “Buy” opportunity just months later, on September 30, 2011. 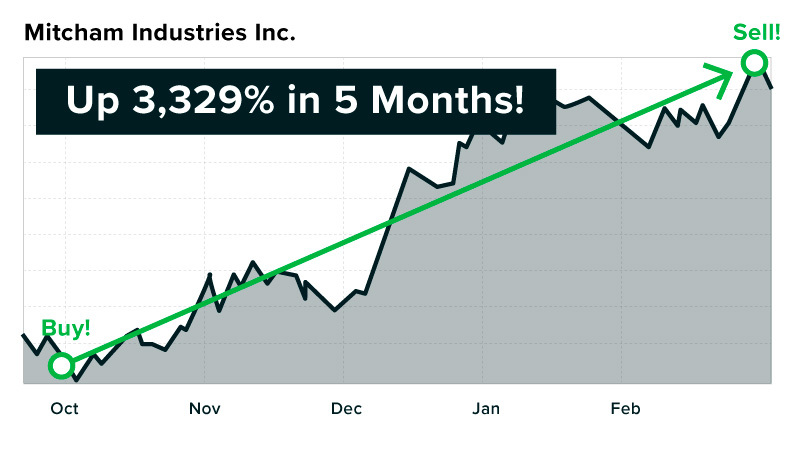 You could have walked away with 3,329% gains in five months. That’d turn your stake into $1,714,500. That’s the SHEER POWER of my Million-Dollar Formula. And there’s no guesswork involved. It reduces your risk to a minimum. This is a scientific system for targeting the best stock plays in the market. 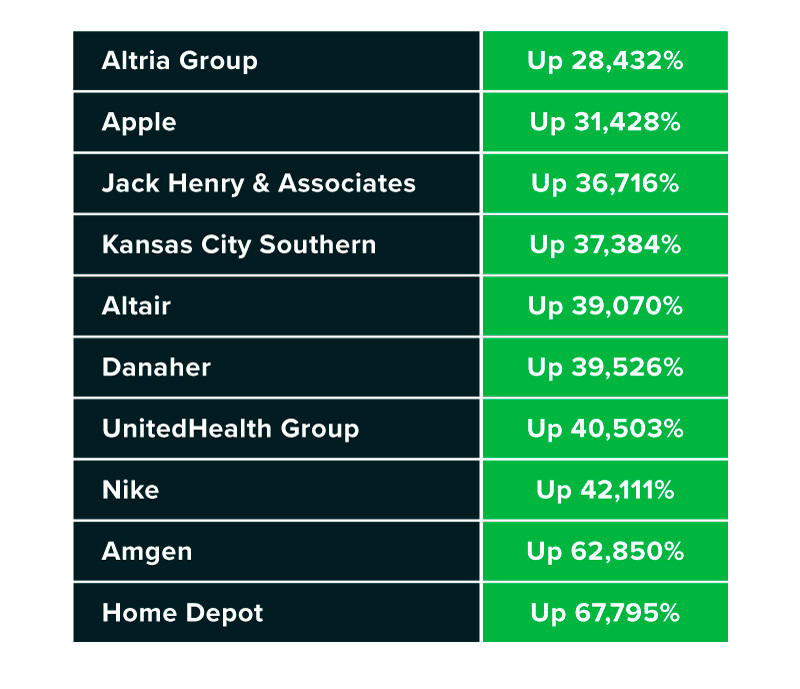 Companies in their sweet spot... that are ONLY GOING UP. Take a look at Ebix. And would have told you to “Sell” on September 5, 2016, for a 1,382% gain in 11 1/2 months. Then there was Quality Systems. My system could’ve helped me direct you to a 1,180% profit in 16 months! $1,000 in each of those plays could’ve handed you $121,360. $2,500 in each and you’d have $303,400. $5,000 in each and you’d have $606,800! Of course, no one gets it right 100% of the time, and past performance isn’t always indicative of future results. But there are many, many more examples predicted well in advance by my Million-Dollar Formula! In a moment, I’ll show you the inner workings of my system... but before I do, I’ve got a question for you. How much money do you think it would take for you to start accomplishing all the things you’ve dreamed of in retirement? So think about how much more money you’ll need for retirement. Is it $250K... $500K... $1 million... or more? AARP says if you have $1.18 million in retirement by 65, you could live comfortably for the rest of your life. That stockpile would give you more than $7,156 in cash to spend every single month... not ever worrying about money again. That’s just a small sample of all the great things you could do with $1.18 million in your nest egg... with $7,156 to spend monthly. If a $1.18 million nest egg seems like a far-off figure... don’t let it cause you any dread. My subscribers are on their way. Buck says he’s now grown his portfolio to $2 million! Listen, I’ve personally experienced the thrill of seeing a single investment shoot past $1 million. And my Million-Dollar Formula can help you do the same. It’s going to change your life. And I believe it’ll help you capture $153,000 in the year ahead... on your way to a seven-figure retirement. Just make sure you’re one of the first to respond after this presentation is complete. Those who stick around will put themselves in position to enter a no-purchase-necessary, all-expenses-paid DREAM VACATION giveaway for two. I’ll be giving it away to mark the first-ever public launch of my Million-Dollar Formula. All it really takes to be rich is the right system... and the right mentality. Getting “Rich” Is a Mindset... Do You Have What It Takes? I’ve already got the Million-Dollar Formula in place for you to help you achieve wealth. But I also need to show you how getting “rich” is about your mindset. They had the right mentality. They saw each day as an opportunity, not a list of chores. These men wanted to be rich, sure... but they also knew why they wanted to be rich. 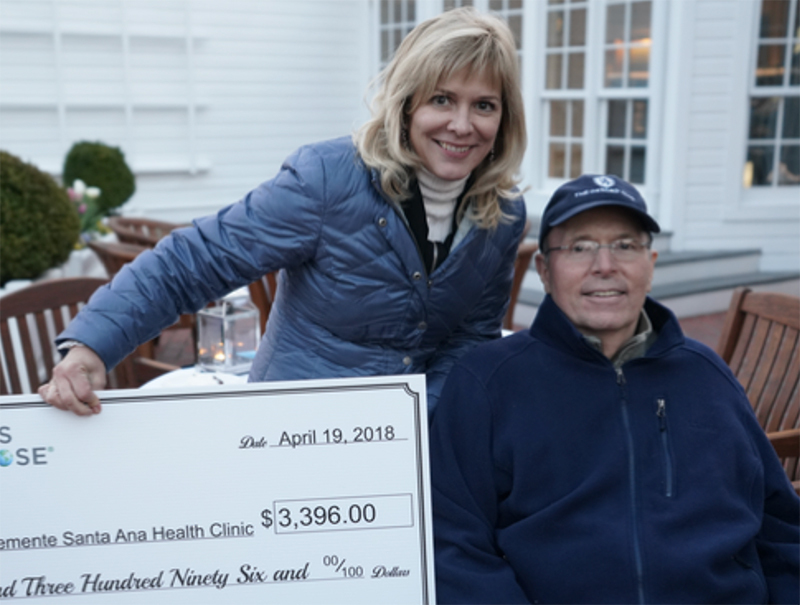 Gates gives away his wealth in order to make the world a better place. He donated $4.6 billion to charity in 2017. Buffett still lives in the same Omaha, Nebraska, house that he bought in 1958. He measures his wealth by how happy and loving the people around him are. He says he’d be happy making $100,000 a year. And for the late Steve Jobs, a college dropout... “getting rich” was simply a side effect of his drive to keep innovating. Now, I’m from Middle America. But I always knew I wanted to be rich. After I married my longtime sweetheart, I figured out why I wanted to be rich. I wanted my wife and kids to live wonderful lives, never worrying about money. And I acted. Swiftly. And decisively. In fact, I was so sure of the opportunity... that I took out a $75,000 home equity loan just to get more shares. That might seem risky – even CRAZY – to you, but to me, it was about getting maximum profits. And I only did it because I believed so strongly in the opportunity. LTX was about to introduce the product to the market. 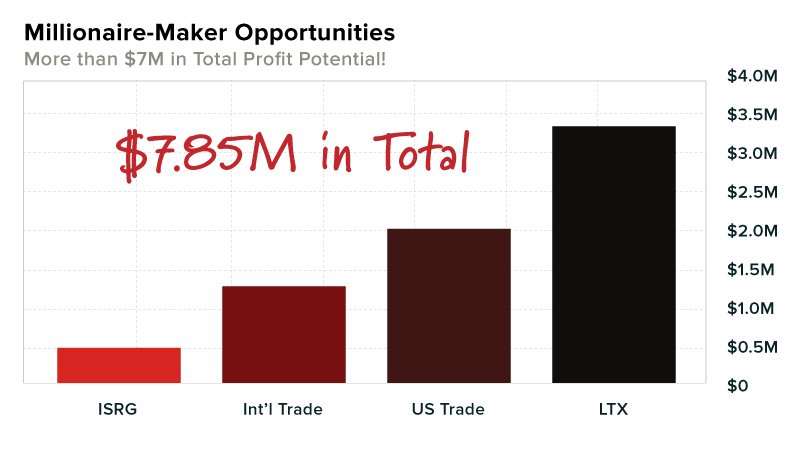 Looking back, LTX would have met the metrics of my modern-day Million-Dollar Formula. I knew it was ONLY GOING UP. Imagine the thrill I felt as I watched my brokerage statement immediately climb past $3 million. And the joy I experienced watching my sons grow up in the beautiful Pennsylvania stone farmhouse we bought as the perfect family home. With the freedom to work on our wide-open property, my sons even developed the same passion for cars that their dad has. Sometimes I need to pinch myself! Now, I never recommend betting it all on one stock. As with all investing, nothing is guaranteed. But when you’re so absolutely sure, like I was... you need to “go big” in order to get your desired results. I put a great strategy in place. I had the right “get rich” mentality. Now, no one has ever seen what I’m about to show you. Everything I’ve ever worked for has come to this. And for the first time ever, the Million-Dollar Formula strategy is ready to be shared publicly. When you add it all up, including the time we’ve invested in perfecting the Million-Dollar Formula, we’ve actually spent more than $1 million. But as you’ll see, it’s worth every penny. I’ll go through the system’s three powerful parts quickly. Part I: Identifying companies with the most explosive profit potential. The first of the Million-Dollar Formula’s three parts shows you exactly where to look. And you don’t want to lose all your money in risky microcaps, so they’re out too. And every company over $1 billion. That keeps you in the heart of the “sweet spot,” helping you get in on companies before they become a household name. Part II: Finding the companies that are ONLY going up. I need to see at least a 50% short-term momentum run... along with at least a 100% long-term stock jump. This ensures you get in on companies that are ONLY GOING UP. This third and final piece is the true “heart” of the Million-Dollar Formula. It shows you exactly when to buy... and then when to sell and collect maximum profits. 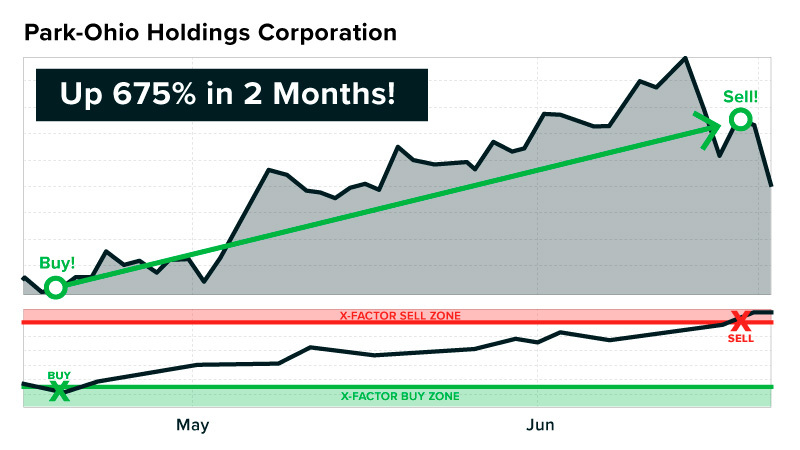 In short, the X-Factor is a scientifically precise indicator that tells you how much upside a stock has at any given time. 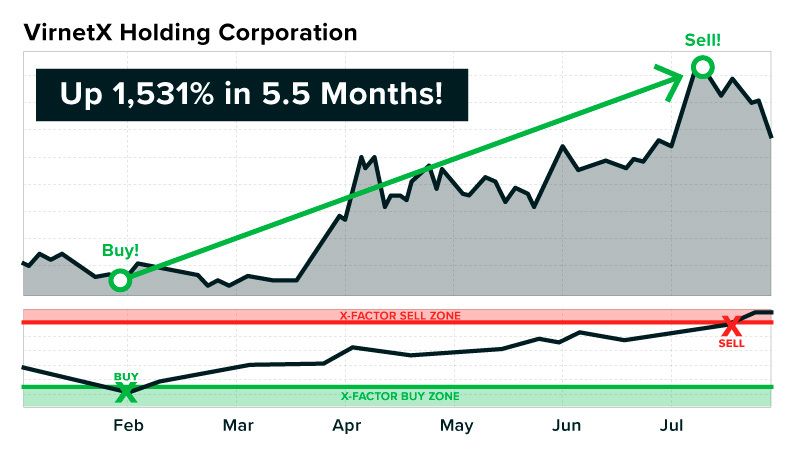 Altogether, the X-Factor measures how much TOTAL PROFIT POTENTIAL a company has at any given moment. 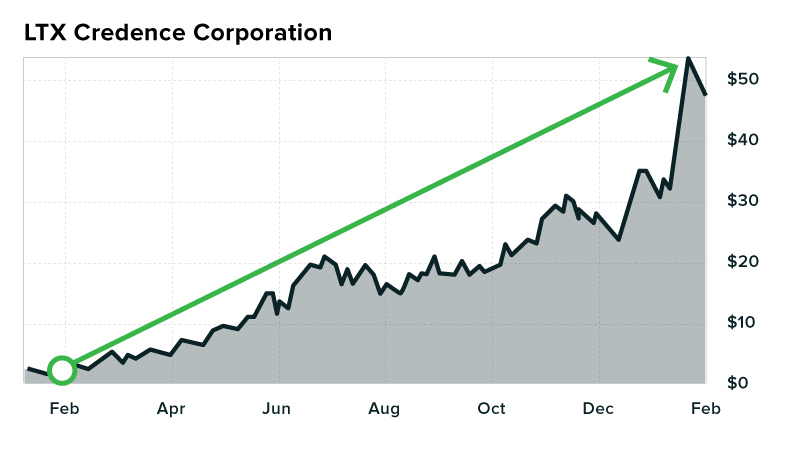 And there’s a certain X-Factor point on a chart when a company’s profits are so high, yet its share price is so low, that it simply MUST skyrocket higher. 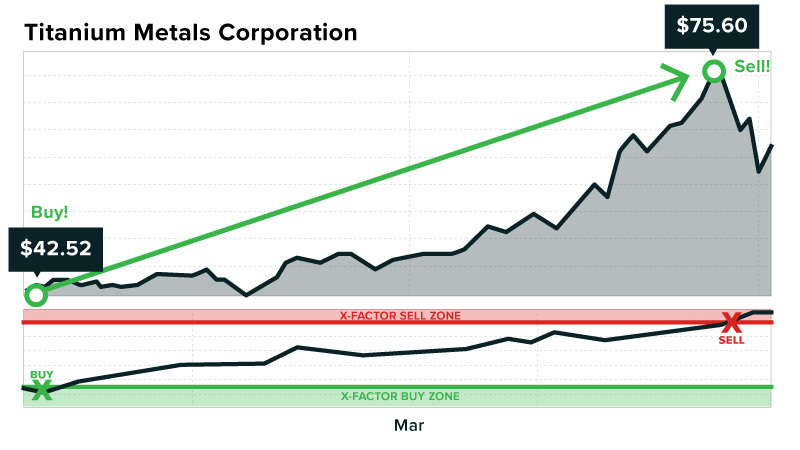 The X-Factor also shows me the point on a chart where profits are maxed out. That’s the red-light “Sell” point. Take a look at CEVA in 2017. 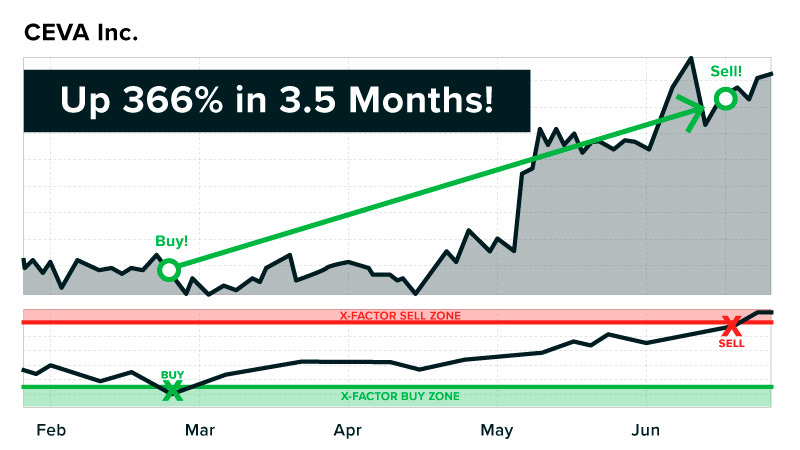 And its third and final part... the X-Factor... signaled the green light to “Buy”! 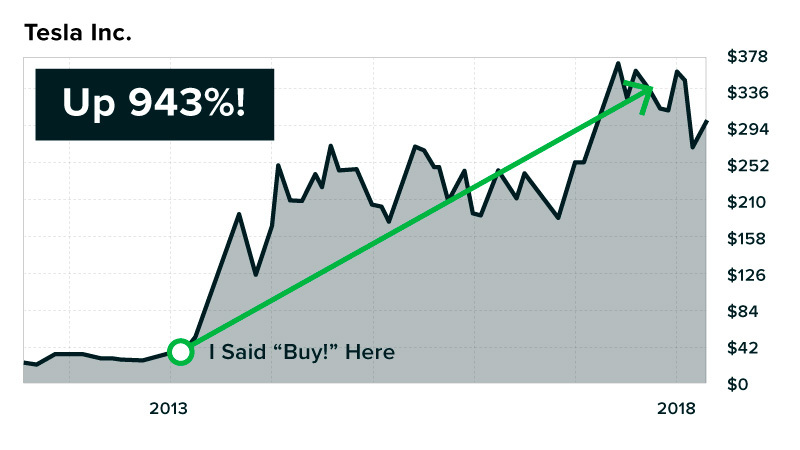 You could have walked away with a 366% gain when the Million-Dollar Formula alerted you to “Sell” on June 8. And every $10,000 into $46,600. Had you listened to Moody’s in February, which was issuing a downgrade on CEVA. 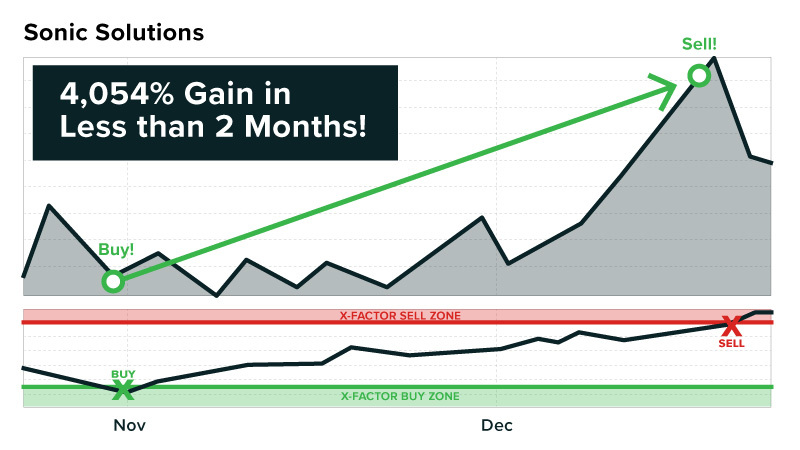 You could have bought when you got the X-Factor green light on January 30. 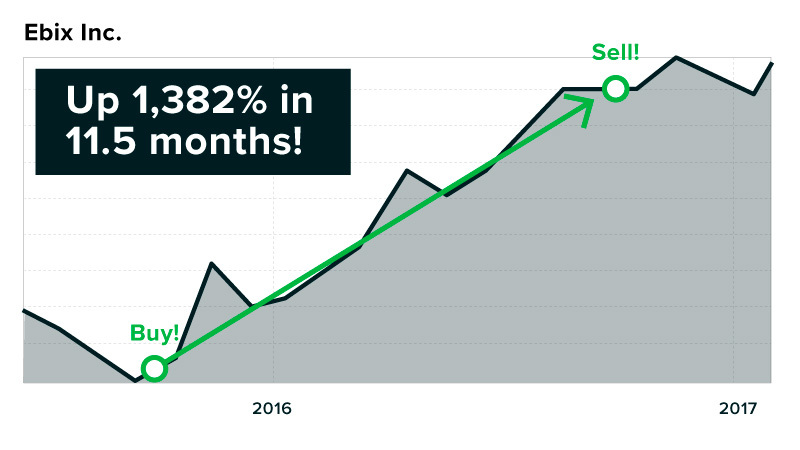 Then, when the Million-Dollar Formula indicated “Sell” on December 8, you could’ve walked away with an 818% gain in 11 months. That would have turned every $1,000 into $9,180. And every $10,000 into $91,800. Had you listened to the Wall Street “pros” at ROTH Capital, who were busy downgrading the stock. 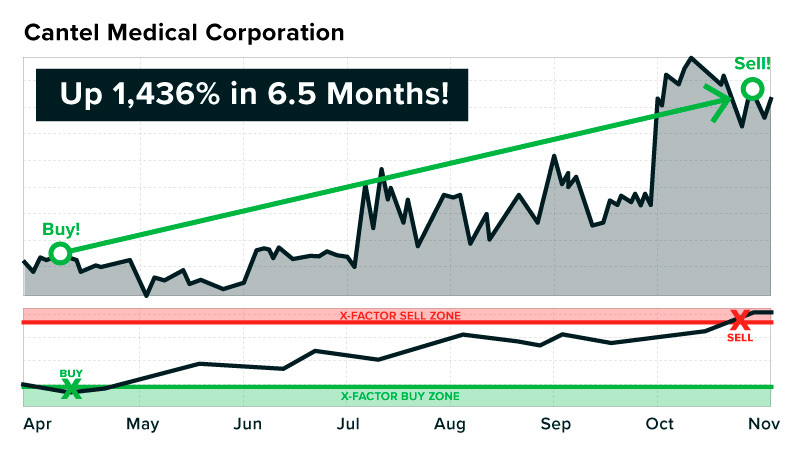 The Million-Dollar Formula’s X-Factor flashed the green light to “Buy” on Cantel Medical as well. 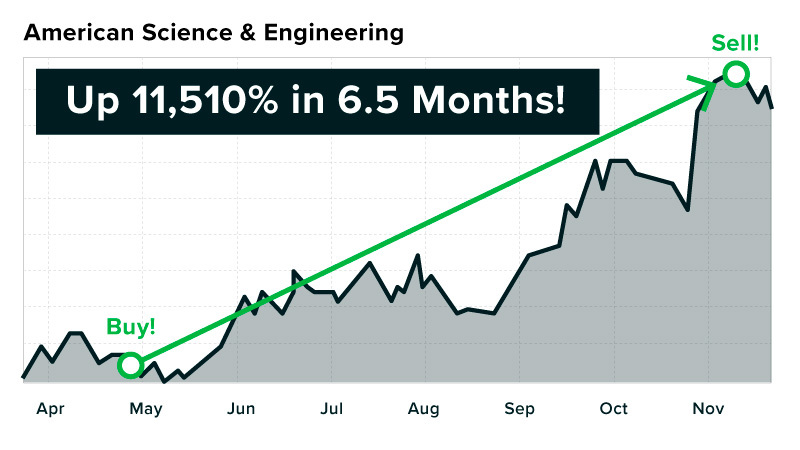 Had you placed that trade, you could’ve snagged 1,436% gains in just 6 1/2 months. And every $10,000 into $153,600! Yet around the same time, according to Yahoo, not a single analyst was covering Cantel Medical stock. Meaning it was completely overlooked! Yet this company, and the others I showed you, were all in their sweet spot. They were ONLY GOING UP. Perhaps you’re starting to see why I’m guaranteeing your chance at making at least $153,000in your first year with my Million-Dollar Formula. And right now, the X-Factor is giving the green light on five new companies poised for breakout success. I’ve fully researched each of these opportunities, and I’d like to get you the details ASAP. All I’ll need is your email, and I can send them to you. I can also help get you signed up for the FREE vacation package prize giveaway. Since I’m an engineer myself, all three of these sectors are my areas of expertise. And the potential gains in these three industries are more robust than anywhere else. 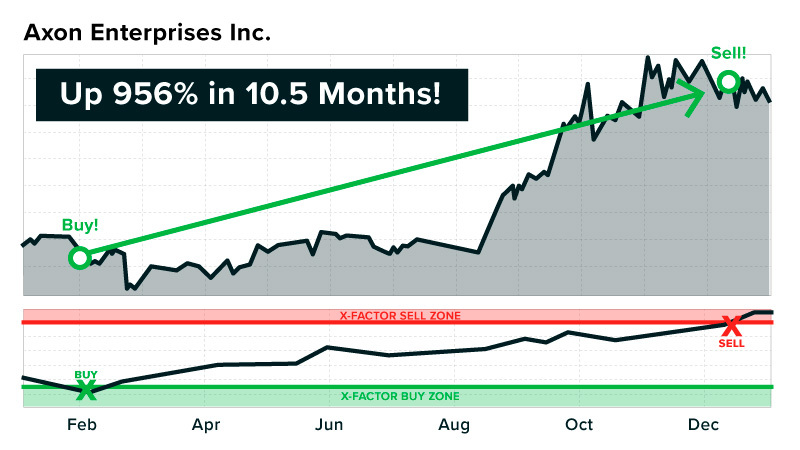 The Million-Dollar Formula would’ve featured an X-Factor green light to “Buy” on January 30, 2011. You could’ve turned every $1,000 into $16,310. Then there’s Sonic Solutions, a digital video system manufacturer. The Million-Dollar Formula showed an X-Factor green light to “Buy” on October 30, 2009. You could’ve walked away with a 4,054% gain when the green light turned red on December 23. 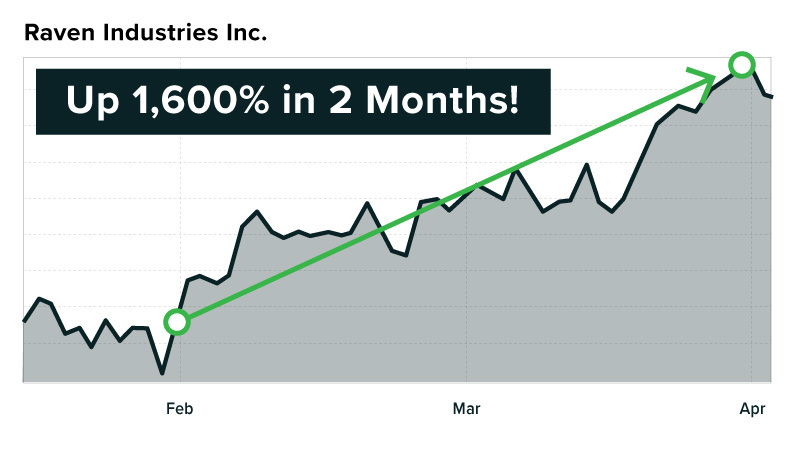 Imagine turning $1,000 into $41,540 in less than two months! Those Wall Street “analysts” should have done better research! There’s Axon Enterprise, a company that produces technology and weapons for law enforcement agencies. 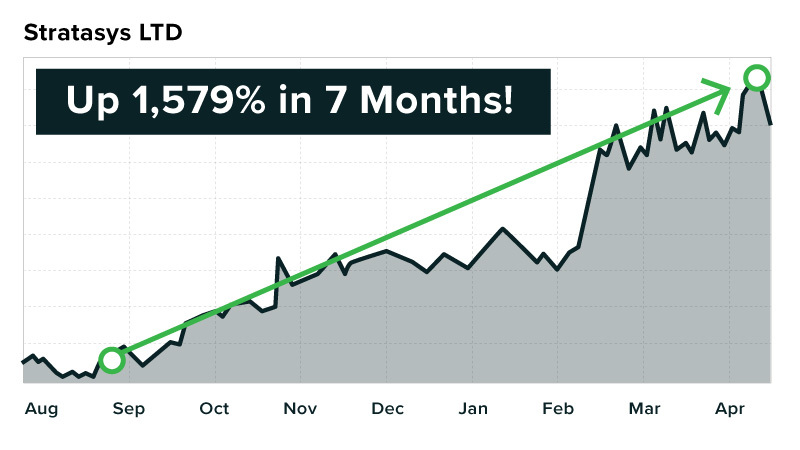 Would have produced a 675% gain in two months. 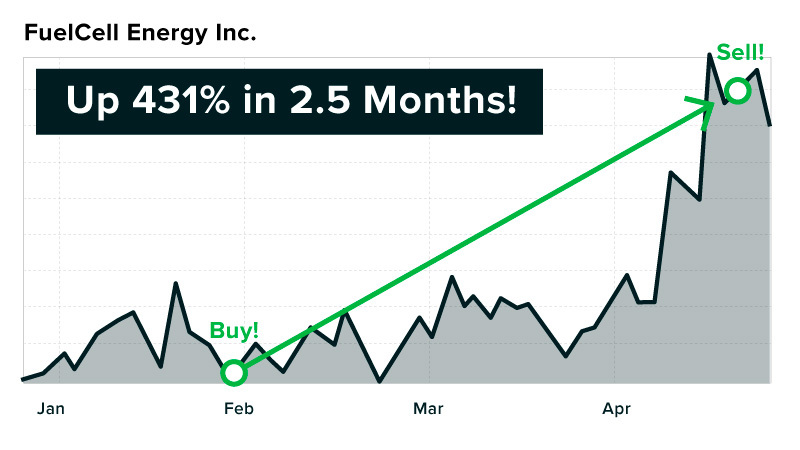 Harvest Natural, an energy company, would have gained 340% in just over two months. I’ve been using this type of strategy for several decades, and it’s helped me collect a fortune in all markets. Just look at what happened when I bought Titanium Metals stock back in 2006. I knew it was time to buy at $42.52 on March 13. By April 24, the stock hit $65.50. And by May 15, I cashed out at $75.60, walking away with $37,800 in my back pocket in just 62 days. Keep that pace and you’d have $222,532 in your portfolio in a year. All – as you can clearly see – ONLY GOING UP. I can’t wait to bring you into my inner circle of friends, whom I alert whenever my Million-Dollar Formula helps me identify the perfect stock. That I decided to enter Wall Street’s most elite investment competition. Despite never having worked on Wall Street myself. This is a competition that features some of the world’s heaviest hitters. All together, these legends – many are billionaires themselves – manage more than $5 trillion. But – and I’m sorry if this sounds like bragging – I dominated. The legends were shocked. I saw it in their faces. I grew my contest portfolio to $770,000 over the course of the yearlong competition. As a prize, I was presented with an oversized check... that I promptly donated to charity. The money wasn’t important to me. Performing well in this competition was key. This was about opening the average investor’s eyes. It proved once and for all that you don’t have to be a billionaire hedge fund manager to make huge returns. I did it on pure stock plays! That’s why you need to take advantage of my Million-Dollar Formula immediately. And there are five new trades I’m prepared to share with you! Right now I’m seeing five new companies that just hit their X-Factor “Buy” point – according to the Million-Dollar Formula. The detailed research I provide to my subscribers is well worth it. I try to give you as much detail as I can so you know what my reasoning is. And I want you to learn my system along the way. I’d like to start by sending you the details on my five newest plays today. They can be yours in a flash. My goal is to hand you 1,000%-plus opportunities that can quickly take your portfolio into the millions, just like mine. And 675% on Park-Ohio Holdings in 10 1/2 months. In both BULL and BEAR markets! But I’d also like for you to keep capturing fast profits all year long through a brand-new research advisory service I’m introducing for the first time today. This new research advisory service is based on my proven... scientific... Million-Dollar Formula. It’s called Fessler’s Flash Profits. My goal for you is simple. I want to help you target fast profits in stocks that are ONLY GOING UP. And no matter your starting point, I can show you how it’s possible to make a lot of money quickly. 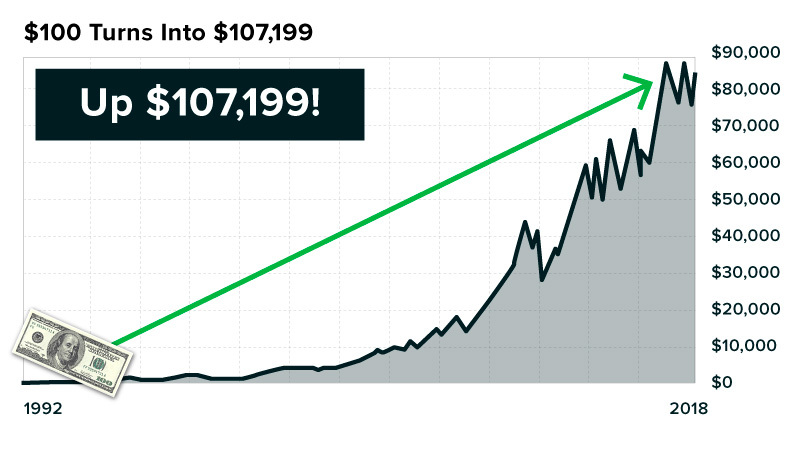 You saw how $1,000 could’ve turned into $1.7 million... on two trades... in the span of just 7 1/2 trading months. 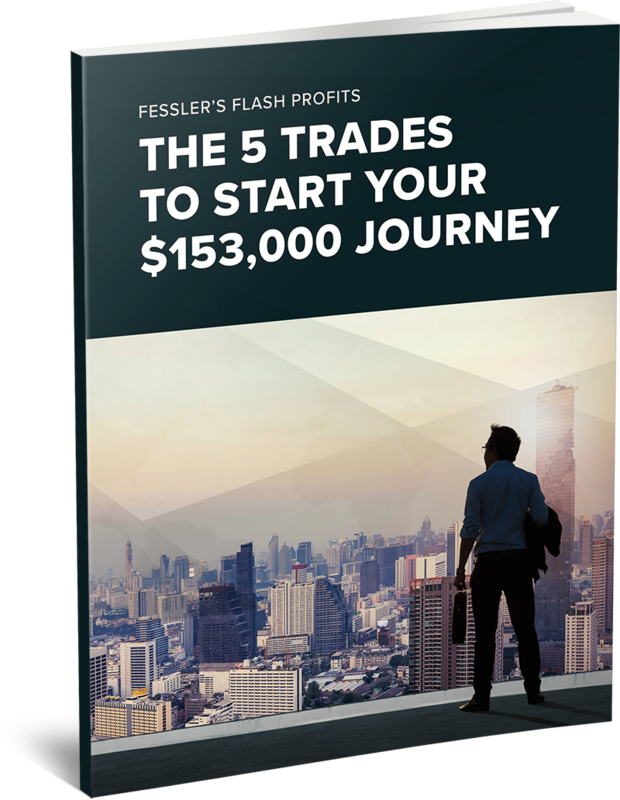 These highly lucrative Million-Dollar Formula trades can’t be found anywhere else but in Fessler’s Flash Profits. But I can’t accept everyone all at once. If I had too many people piling into each opportunity, that could water down the profit potential. And I refuse to do that. That’s why I’m accepting only 250 charter subscribers into Fessler’s Flash Profits today. If you’ve made it this far, we have a spot reserved for you (but we can’t hold it too long!). In this report, you’ll get all the details on the five newest opportunities available to you right now. You’ll get stock names, ticker symbols, “Buy” prices and full analysis on each company. You’ll see how each opportunity is verified by all three parts of my system. Part III: The X-Factor flashing a green light! And you’ll see why I guarantee they can start your journey toward at least $153,000 in your first year. Then, each week, my nine-member, full-time research staff and I will use my Million-Dollar Formula to pinpoint the next great company on the verge of huge, fast profits. Once a company passes the three-part Million-Dollar Formula test... and the moment I see an X-Factor green light... I’ll perform a complete analysis on only the best opportunities and immediately email you my report. That will ensure you’re on pace to collect the biggest, fastest gain possible. Remember, I offer a very detailed analysis on each situation so you can see exactly why I’m recommending it. When I bet big on LTX... I didn’t do it lightly. I wanted to make sure this play was everything I thought it was. And the extra research time I put in paid off when I ended up with more than $3.2 million. So every recommendation I send to you will have the same detailed research. You get the full scoop. You’ll get exact instructions on what to buy... when to buy... and at what price to buy. And I’ll email you again when it’s time to sell and collect maximum profits. I walk you through the entire process of buying and selling. There’s NO hard work on your part. Buy when I say “Buy!” (if you decide the opportunity is right for you). For all of you conservative investors, I’ll include a regular stock play... that I expect will do exceptionally well. So I’ll often include an options play too. Now, if you’ve never made an options play before in your life, I’m including a special report so you can learn more about how it works. Even if you decide options aren’t for you, that’s fine. This is still a great educational tutorial to further your investing knowledge. And based on my Million-Dollar Formula’s projections... 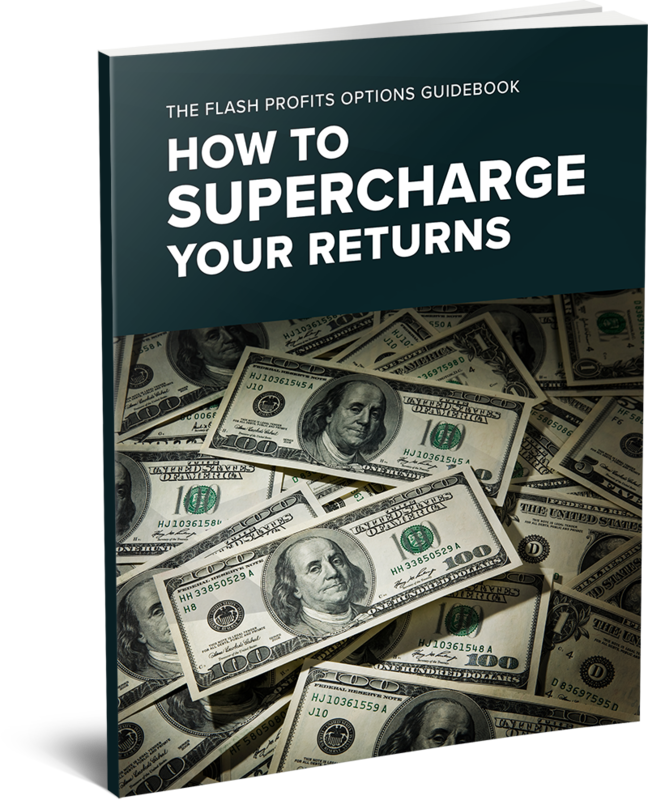 I can guarantee you get at least one new Fessler’s Flash Profits recommendation per month. But you’ll often get two or three. I’ll deliver 20 to 25 new “Buy” recommendations in total over the course of the full year. And each opportunity will be geared toward helping you collect gains of 1,000% or more. I expect your profits to come in at more than $153,000 in the first year. If you follow my Million-Dollar Formula. One reader, whom you’ll hear from momentarily, says I’ve helped him top the $2 million mark in his personal portfolio. Fessler’s Flash Profits is the only full-time research service where you’ll find recommendations like these. I’m giving you and everyone watching today... a FREE entry into my giveaway of a first-class, all-expenses-paid DREAM VACATION FOR TWO to New York City in 2019. With it... I’m also giving away a FREE VIP ENTRY to The Oxford Club’s 2019 Private Wealth Seminar, the biggest wealth-building event of the year. Right now, anyone in attendance or watching at home can enter to win TWO first-class, all-expenses-paid tickets to our Private Wealth Seminar at the luxurious Dominick Hotel. The dates? July 21-23, 2019. I’ll be speaking at the Seminar as a featured guest, and I look forward to congratulating the winner in person. You’ll be free to come and go as you please... catch a Broadway show... explore Central Park... indulge in some of the world’s best restaurants... and visit the shops on Fifth Avenue. For your chance to win, simply review the terms and conditions on the next page. There is no purchase necessary to enter to win. You should see a button on the bottom of your screen shortly, which will take you to the next page. And I’ll be adding even more benefits along the way. It’s a vacation prize package worth up to $20,000. You get the email on a Wednesday morning. I give you a full write-up on a small tech stock trading for, say, $6. And what price to pay. My goal for each trade is to hit that 10-bagger status. So if I’m recommending a $6 stock, our goal will be to ride it to $60. String a few of those together and just watch your portfolio grow. “I’m up $38,000,” he said. The winnings helped him finally retire in Florida this past year! Then there’s Randy Jeffries, a retired hog farmer who has seven grandchildren. “My portfolio made close to $100,000,” he said. Now I want YOU to be the next success story. But I’m only looking for 250 people who are ready to take charge of their money and make it grow by at least $153,000 this year. If you’re that type of person... I’ll do my best to make this decision as easy as possible for you. Just $1,000 in three trades could get you well past my “$153,000 in a year” guarantee. All told, that’s $218,640 in 11 total months. That’s the PURE PROFIT POWER you have in front of you right now. You just saw how you could’ve started with $1,000 and walked away with more than $1.7 million in only 7 1/2 months. Plus, I introduced you to Buck Jernigan, who said he’s used my recommendations to build his portfolio past $2 MILLION! So what’s all the profit potential worth to you? But I’m not going to charge anyone 50 grand. The retail price for Fessler's Flash Profits is only $5,000. So many of my readers made that cost back and then some on a single play! Like 80-year-old Ken Palmer... an admitted newcomer to the investing world. “I made $10,000 on EOG Resources,” wrote 61-year-old Dan Farmer of Georgia. “I made $15,000 on NVIDIA,” said Marty Beaman of Long Island, New York. You’ll get all the great benefits I mentioned above for that low, low charter subscription rate. You’ve seen how much profit is out there for the taking. 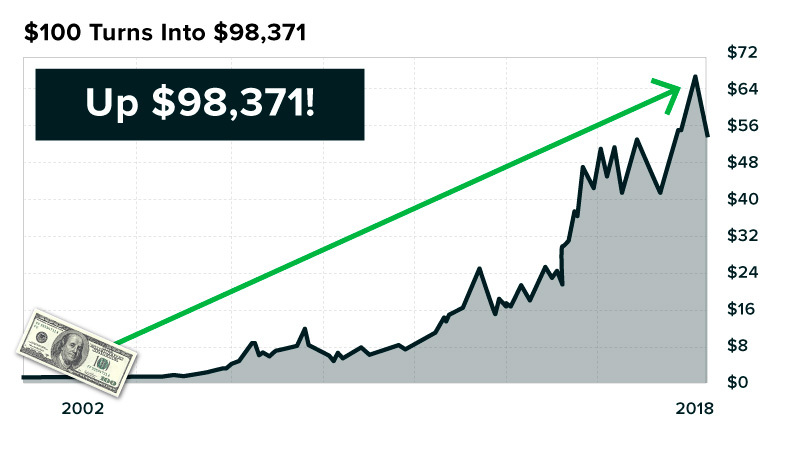 You could quickly blow right past $153K in just a couple of months. I’m also prepared to guarantee your satisfaction with Fessler’s Flash Profits. What I can do, however... is make you this special one-time-only offer to ensure you’re satisfied. And I’ll get you moved over to another Oxford Club VIP service that more closely fits your needs. Your happiness with Fessler’s Flash Profits... and your ability to kick-start your retirement portfolio... are my No. 1 goals. If you’re not pleased, then I’ll make it right. That’s my personal pledge to you. I’m fully confident in my ability to deliver on this guarantee. Like Jack Murphy of Boston, Massachusetts... who is allocating a portion of his winnings to attend future Oxford Club events. “One of our plans for retirement is to travel the world with The Oxford Club,” he said. I do find that many of my readers like to reinvest their winnings, and I think that’s great. The only question that remains is... will you be able to get in with room to spare? You’re just one person in a stadium packed full of tens of thousands who are viewing this presentation today. So remember... I’m accepting only 250 people by the time the clock strikes midnight tonight. This tight limit on new subscriptions allows us to maintain maximum profit potential. It’s first come, first served, to keep the group small and intimate. Now’s the time to act. 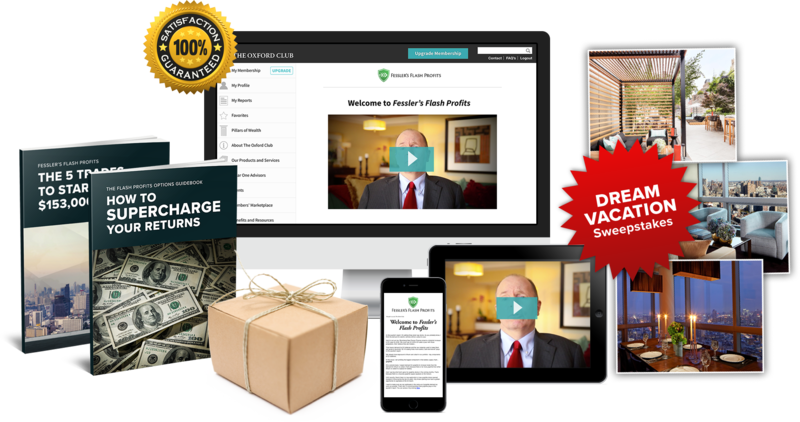 Click below to see everything you’ll get with your one-year charter subscription to Fessler’s Flash Profits. Clicking the button below doesn’t obligate you to do anything. It just takes you to a secure page where you can review everything – laid out in a clear, concise manner. And they’ll have you off and running toward an extra $153K in the year ahead. Plus, when you click the button, I do have a couple of surprise bonus gifts for you on the next page, should you choose to become a charter subscriber of Fessler’s Flash Profits! Click that button right now to get started! And don’t forget to sign up for FREE on the next page for the $20,000 New York City DREAM VACATION prize package giveaway!